My contributory chapter is now complete and delivered: “Pious Fraud at Nazareth.” It touches on the results of my most recent book NazarethGate and then asks an important question: “As we approach the end of our unflattering review of the history of Nazareth archaeology, we must ask: Are the above frequent and sometimes inexplicable irregularities merely the result of sloppiness, of information overlooked, and of imperfect knowledge?” The answer I give is a resounding “No!” The archeology of Nazareth—so typical of “Christian archeology” in Israel—goes beyond the realm of provable error, casual admission of hearsay (by well-trained scholars! ), and internal contradiction, into an area patently characterized by suppressed evidence, invention, and fraud. In fact, that statement, in a nutshell, captures the results of my entire twenty years’ work in the field. 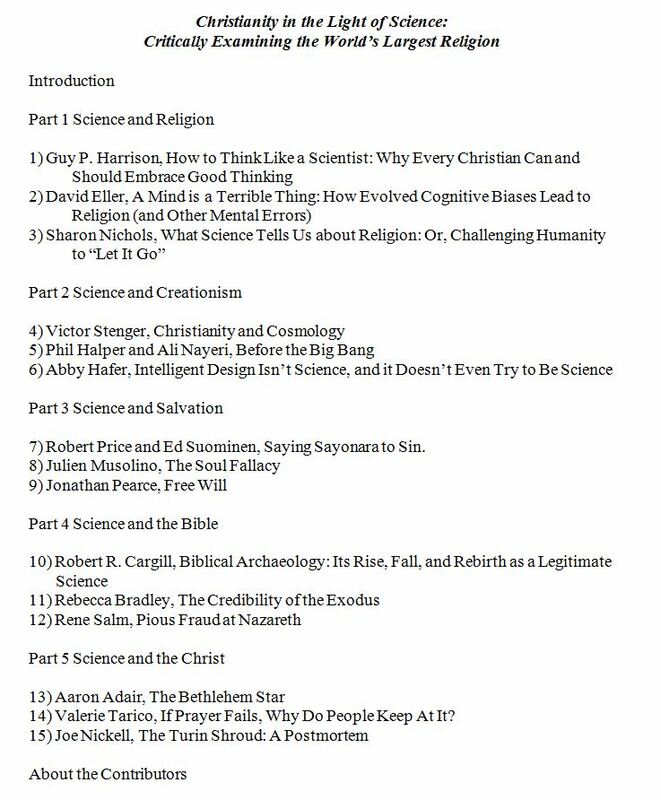 I very much look forward to these exciting chapters, and am especially interested in what the late Victor Stenger writes about “Christianity and Cosmology,” what Rebecca Bradley (Ph.D, Archaeology, Cambridge, U.K.) has to say about “The Credibility of the Exodus,” and what Robert Cargill writes regarding “Biblical Archaeology: Its Rise, Fall, and Rebirth as a Legitimate Science.” Yes, let’s certainly hope that biblical archaeology experiences such a “rebirth.” Tomorrow would not be soon enough!—R.S.